Located in Bangkok, Chakkaphong Road has been the hub for Thai Sriram for years, and it has been serving it right! Thai Sriram offers excellent bus transportation to and from various places like Koh Phangan and Koh Samet, among others. 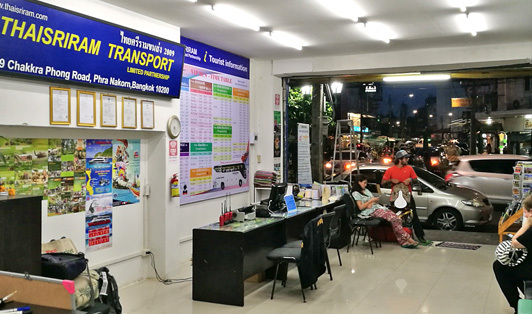 This collection point is both the departure and arrival spot for many routes including Bangkok to Koh Chang, Bangkok to Koh Samui and more. Just make sure you’re there 30 minutes prior to departure time.